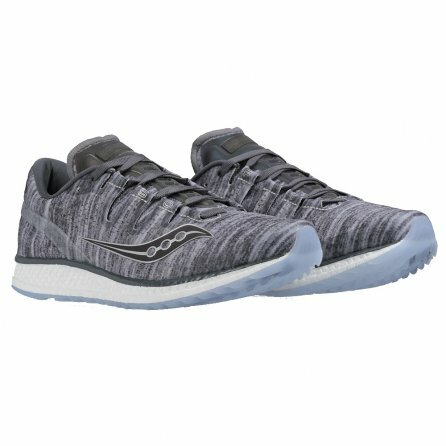 If you think Low-Drop means low-comfort, you obviously haven't tried the Saucony Freedom ISO Women's Running Shoe. The 4mm drop is lower so your foot transitions from heel to toe more naturally, engaging more of your lower leg and foot muscles in the process. But thanks to the full-length EVERUN Midsole you get reliable cushion in every step, taking some of the shock out of every footstrike, and powerful energy return pushing you forward into your next step.